Bed cover in white long staple cotton piquet. 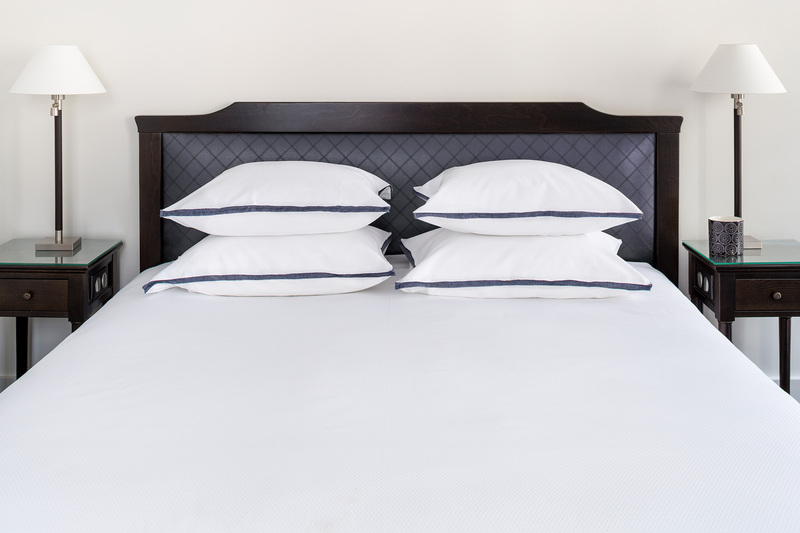 Pillow cases, top in cotton piquet, bottom in extra-long staple white percale, edges in pure linen herringbone design. An impeccable way of « topping up » your summer bedroom!